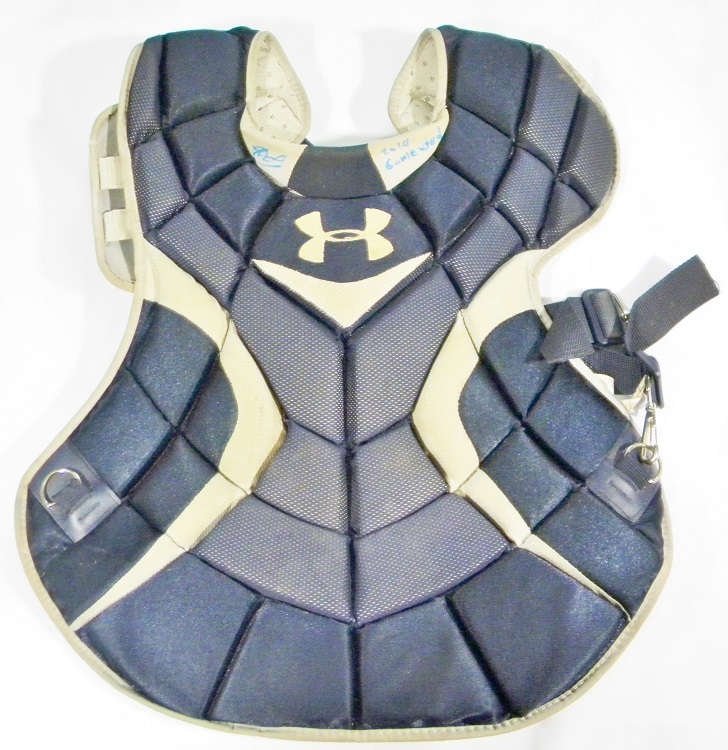 Presented here is a game used chest protector used by Jorge Alfaro. 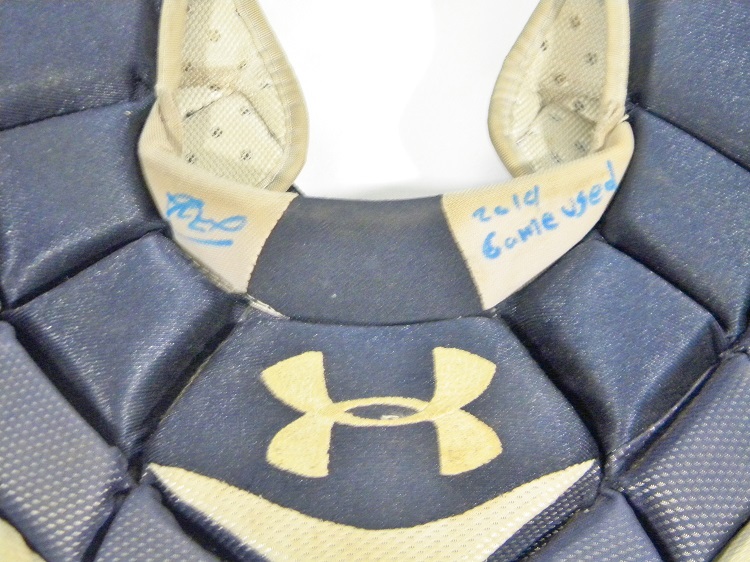 The chest protector was acquired directly from Jorge Alfaro and autographed by him. 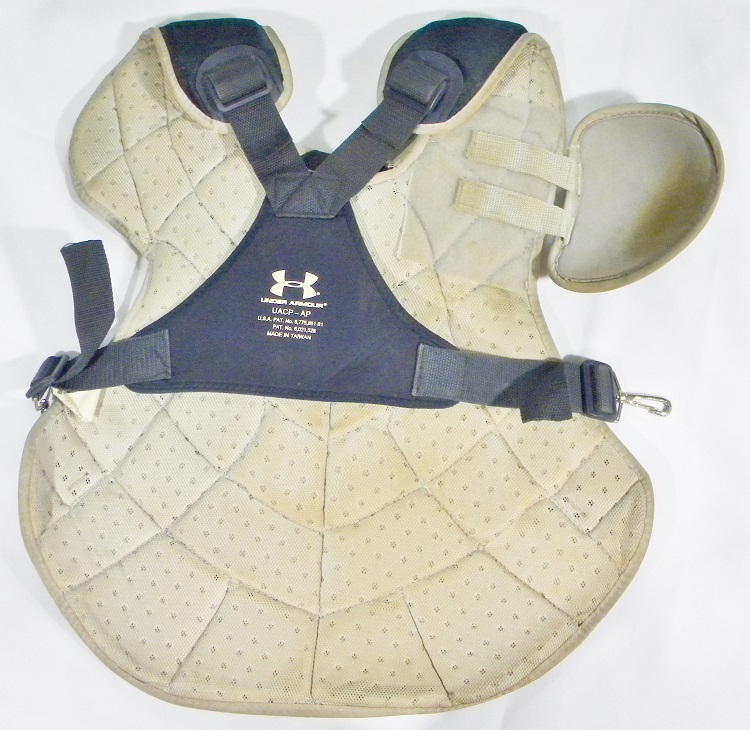 The chest protector will be accompanied by a Player Direct Certificate of Authenticity and James Spence Authentication. Jorge Alfaro is an exclusive client of Player Direct.